An absolutely awesome piece! Nice work Jeff! love this to death. amazing. Superb piece, Jeff! I could totally see this working as a print/poster. Wow, REALLY love this one. I'd love to see it animated like this. Brilliant! Great retro-feel in the composition. Love it. 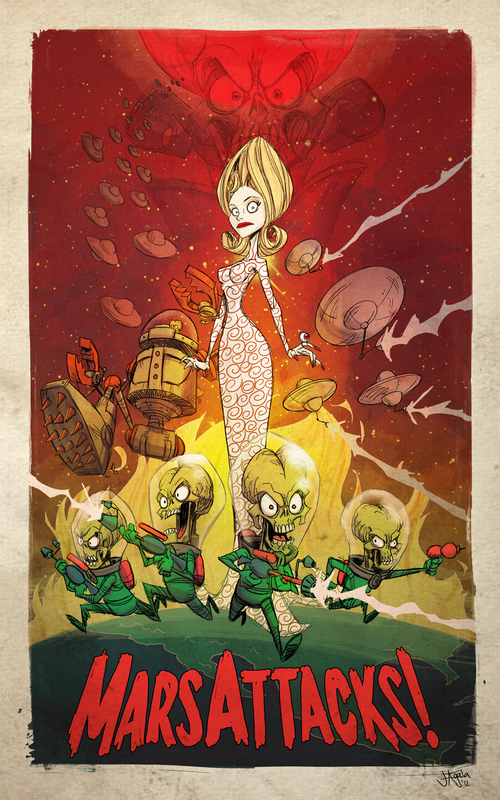 OMG...Mars attacks, The Comic. MAKE THIS HAPPEN!